Tip: The original Rosetta Stone is located in a glass showcase at room 4 and is most times surrounded by crowds of people. 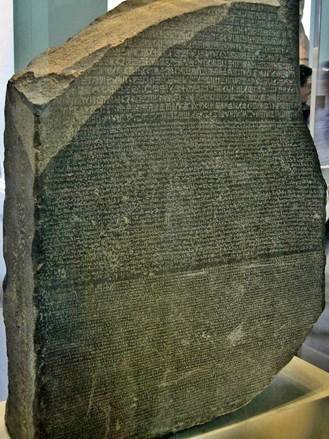 A replica of the Rosetta Stone stands in the Enlightenment Gallery (room 1). At this one you can have a detailed look and even touch it without having to use your elbows. 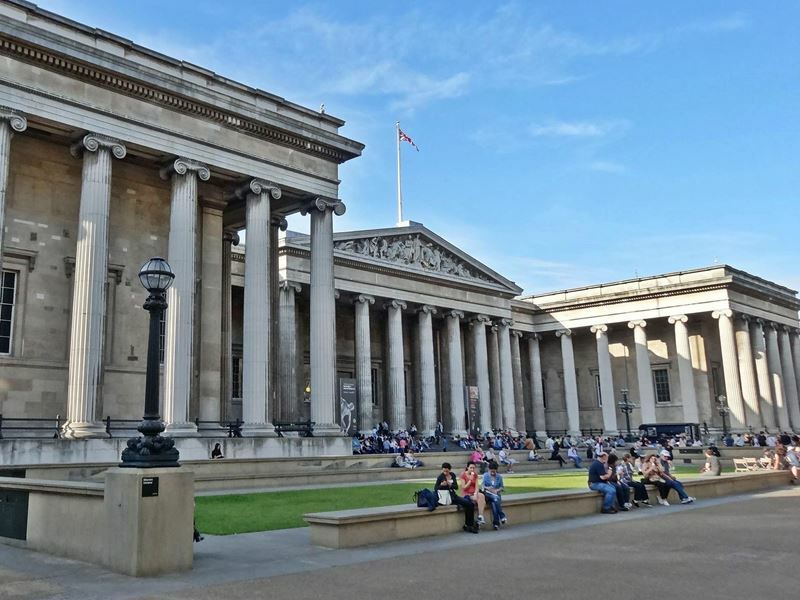 The British Museum in London is due to the vast range of unique exhibition objects worldwide leading in art and cultural history. The museum is especially well known because of the extensive collection of Egyptian, Greek and Roman antiquities. There is no admission fee for the entrance to the permanent exhibitions. 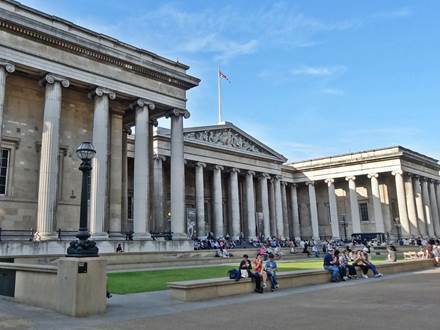 As with the other top museums in London there is a strong visitor rush at weekends, particularly on Sundays. Unfortunately, it can get also quite busy during the week. Due to the high number of approx. 80.000 exhibition objects and the huge museum size the big crowds are most times only noticeable in the entrance area and at the main attraction, the Rosetta Stone. If you start your visit in the morning during the week you have the best chances to avoid the crowds. The museum is not located nearby a underground station. 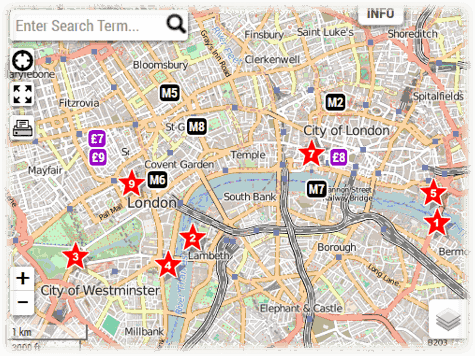 The nearest station is Holborn which is approx. 500 m away. 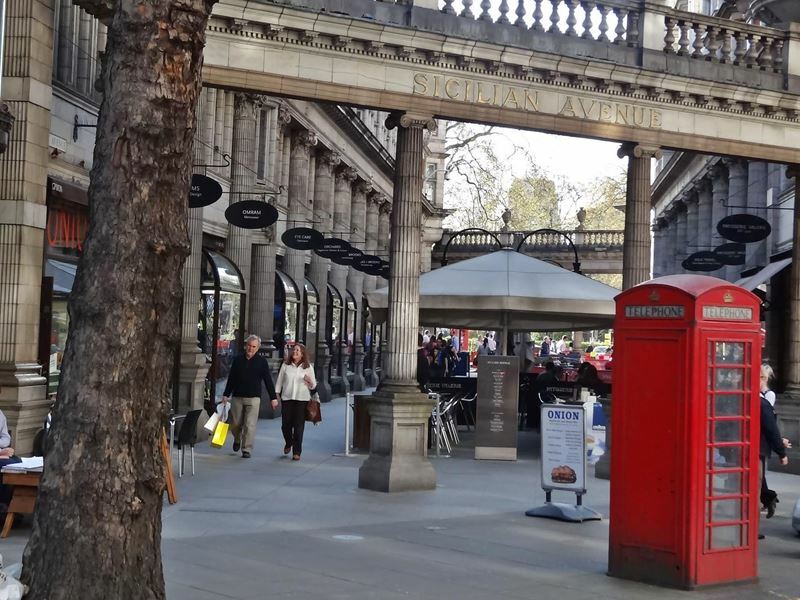 After leaving the underground station just go to the north at the Southampton Row until you reach the Sicilian Avenue on the left side. In this nice alley you can find some restaurants, cafes and shops. Ideal if you are looking for some food or drinks on your way to or back from the museum. 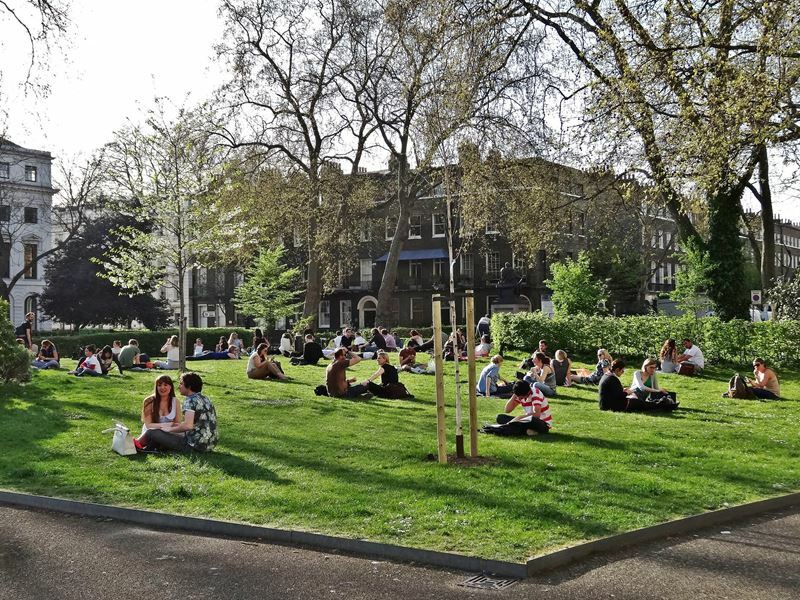 From the Sicilian Avenue you get directly to the Bloomsbury Square, a small park. 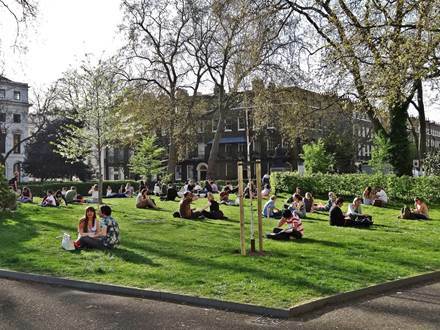 Walk across the park to the opposite corner. Now you are standing in the Great Russel Street. After a few steps on this street, you are directly in front of the British Museum. 1. The Rosetta Stone (room 4) is well known and the most visited attraction of the house. This stone was found in 1799 in Egypt by the French guy and was the basis for the deciphering of the hieroglyphs. The British came into the possession of the stone after a victorious battle against the French. Afterwards the Rosetta Stone was brought to the British Museum in London and is exhibited there since 1802. 2. The Egyptian Mummies (room 62-63) are presented in 2 rooms together with sarcophagi, coffins and burial objects. Here you learn everything about the Egyptian cult of the dead at the time of the pharaohs. 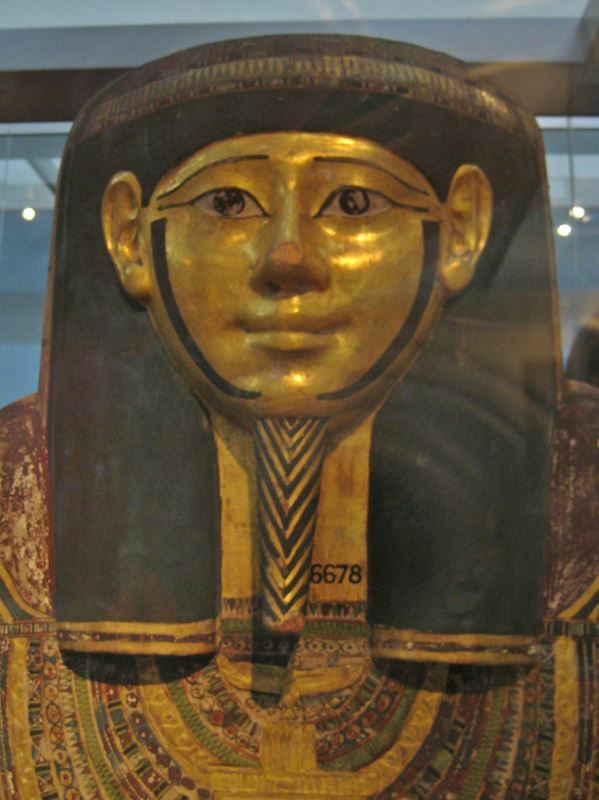 The Museum owns the largest collection of Egyptian antiquities outside of Egypt. 3. The Parthenon Sculptures (room 18) originate from the temple with the same name in the Acropolis. The remains of the temple are located at the highest point in the Acropolis and dominate the cityscape of Athens. Some of the sculptures have been removed in the year 1801 by Lord Elgin and taken to England. This action caused many controversial discussion. Since 1817, these gems of ancient Greece are presented at the British Museum to the public. 4. The Clocks and Watches Gallery (room 38-39) has been praised by many visitors. Here you will learn more about the history of time measurement and you will also have the opportunity to admire some special clocks and watches. This includes also the Rolling Ball Clock which is controlled by a permanently rolling metal ball on a disc. 5. The Lindow Man (room 50) is a very well-preserved bog body of the 1st century A.D.. It was discovered in the year 1984 in the North West of England during commercial peat cutting. The good preservation in the bog made it possible to draw many conclusions about his appearance, life and the tragic death. He did not die by an accident in the bog, but was brutally murdered. 6. The Hoa Hakananai'a (room 24) is one of the famous stone statues of the Easter Island. The statue weighs about 4 tons and has a height of 2.42 m. It was shipped to England in 1868. The statues were part of a ceremonial complex. The exact function of the statues is not clearly clarified until today. 7. The Great Court is a highlight which no usual visitor will get around. It is the huge glass-roofed courtyard in the entrance area. In the center of the approx. 8000 m² large area is the reading room, which was built in the year 1857. The redesigned courtyard with its impressive glass roof was opened in the year 2000.